Krzysztof Śliwka, born 1965 – in Poland. He got interested in wood sculpting at the age of 14. 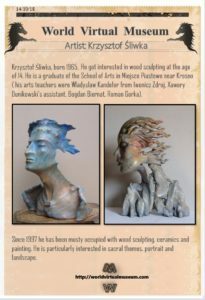 He is a graduate of the School of Arts in Miejsce Piastowe near Krosno ( his arts teachers were Wladyslaw Kandefer from Iwonicz Zdroj, Xawery Dunikowski’s assistant, Bogdan Biernat, Roman Gorka). 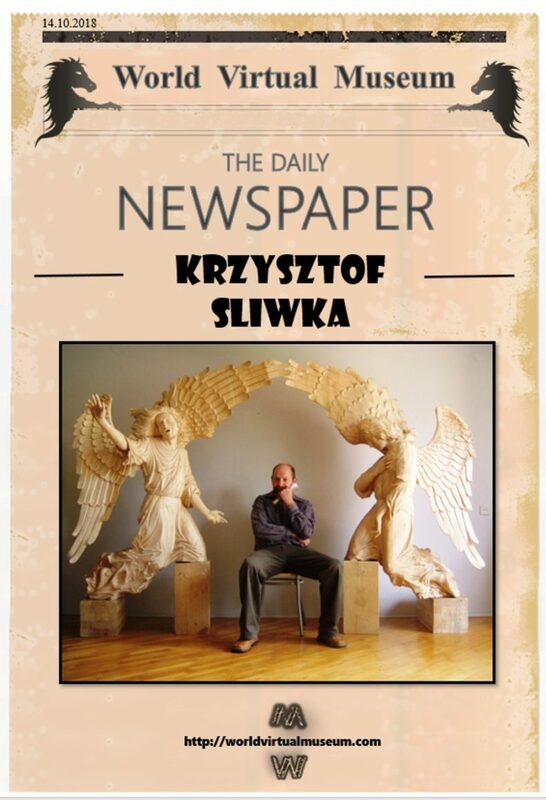 Since 1997 he has been mosty occupied with wood sculpting, ceramics and painting. He is particularly interested in sacral themes, portrait and landscape. 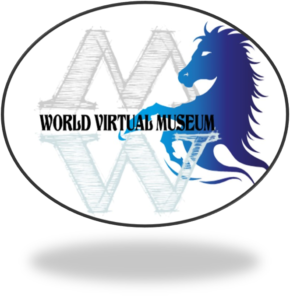 His works of art have been presented on exhibitions in Warszawa, Rzeszow, Krosno, Jaroslaw, Lancut, Jaslo, Przemysl, Iwonicz Zdroj, Budapest. His inspirations and ideas emerge from his contact with nature, landscape, people, traditions and history. His grandfather was murdered in Auschwitz. Apocalyptic and surreal elements also appear in some of his works. Many techniques may be used in wood sculpting eg. scorching, bonding small components, using various tree species (lime-tree, larch, ash, oak). In painting I apply my own technique which accentuates the texture (impasto is laid on the rigid base, next it is patinated and painted in either oil or acrylic technique). I also make casting models (cooperation with glasshouses, metal casters). 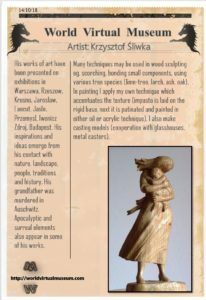 As a young boy I became fascinated with the beauty of old, Lemko sculptures… (dreadful viruses lie dormant in those aged dusty sculptures). My fascination was like an incurable disease followed by some complications: painting, ceramics and others. 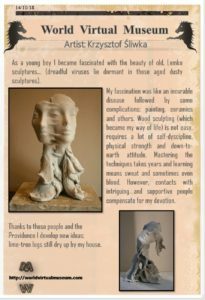 Wood sculpting (which became my way of life) is not easy, requires a lot of self-dyscipline, physical strength and down-to-earth attitude. Mastering the techniques takes years and learning means sweat and sometimes even blood. However, contacts with intriguing and supportive people compensate for my devotion. lime-tree logs still dry up by my house.